Your Sausalito home should be more than where you go after work each day; it should be a place of peace and relaxation. When you park your vehicle in the garage each night, what do you see? Is it a clean, organized space, or do you find yourself climbing through your belongings just to get inside your home? Your garage clutter may become even more noticeable on the weekends when you’ve decided to take the bicycle out for a ride, retrieve your kids’ sports equipment, or start that gardening project. Can you find what you’re looking for? Do you spend more time filtering through your things than you do actually participate in your desired activity? This is why Garage Solutions exists. When you work with Garage Solutions, you’re not only going to transform your garage, but you’ll also be working with the finest materials and best manufacturers in the industry. 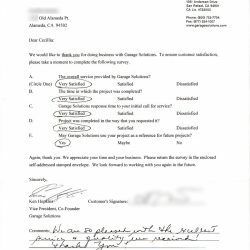 We make it a priority to deliver only the highest-quality materials alongside unrivaled customer service. 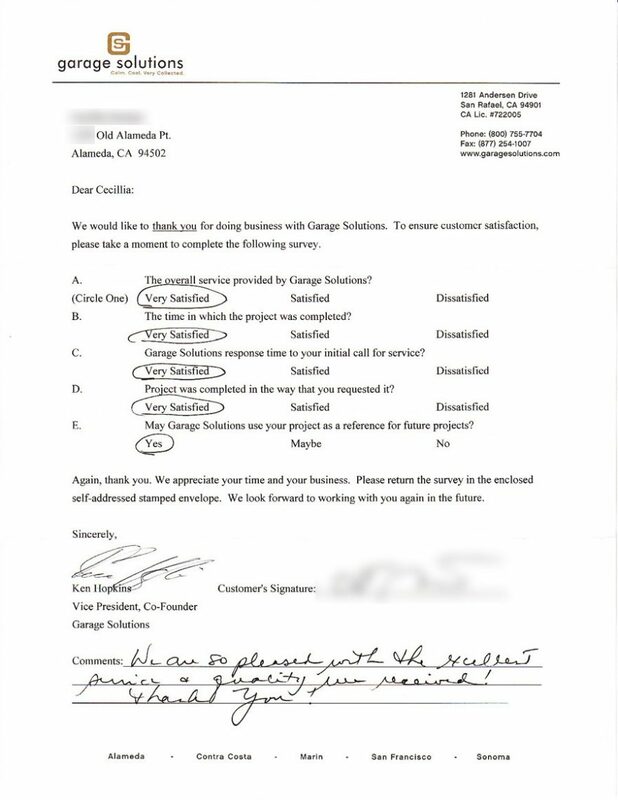 We always start the process with you. What do you want? What’s your budget? What’s on your wishlist? We then take this information and 3D render a design for you to review and give feedback on. 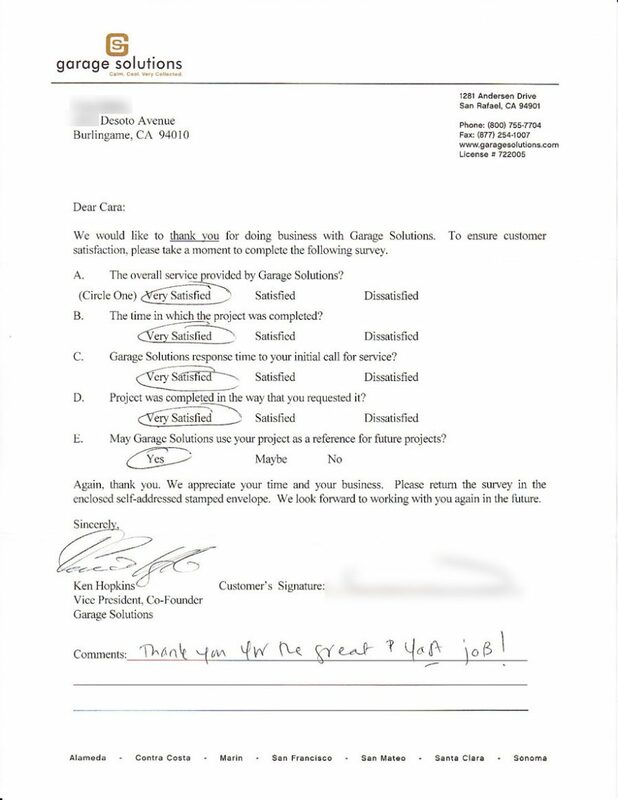 We do this to ensure your new garage storage and organization system is exactly what you want. Finally, we confirm the details, timeline, and begin installation. 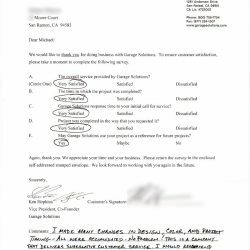 When it comes to garage wall cabinets, Garage Solutions only offers the highest quality material from the best manufacturers in the industry. 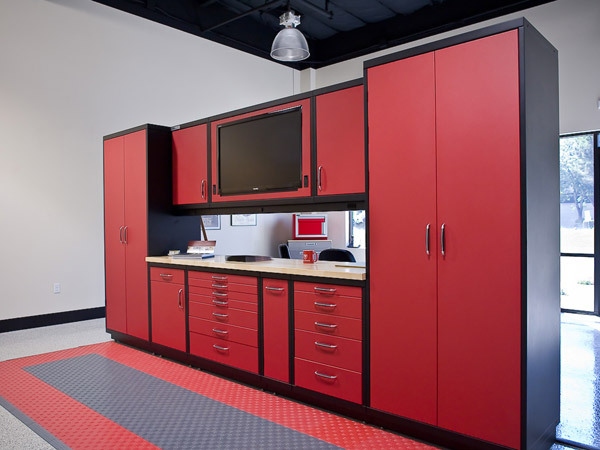 Our custom garage cabinets are durable, tough, and aesthetically pleasing. We offer wood and metal cabinets to our clients in a number of finishes to meet their home’s garage storage needs. As a homeowner, you want to consider two factors when choosing any type of cabinet: functionality and quality. How will these two factors affect your life? 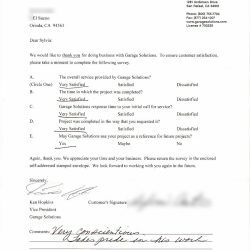 At Garage Solutions, we only work with the finest materials, best manufacturers, and professional installers to achieve your garage storage and organization goals. Our wood garage cabinet shelves are twice the industry standard in thickness at one inch, which increases strength and lifespan. Furthermore, we exceed industry standards. We don’t use staples. Our wood cabinets are built with European-crafted hinges and hardware; heavy-duty drawer slides; and dowel construction technology. We also include a protective band to decrease the chance for scratches and dings as you use your cabinets. 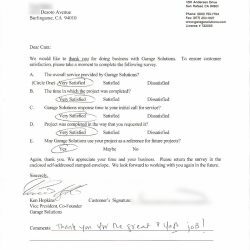 When you choose to work with Garage Solutions, you’re getting the best wood cabinets for your garage. Once we get your garage cabinets chosen, we can then move onto cabinet finishes. 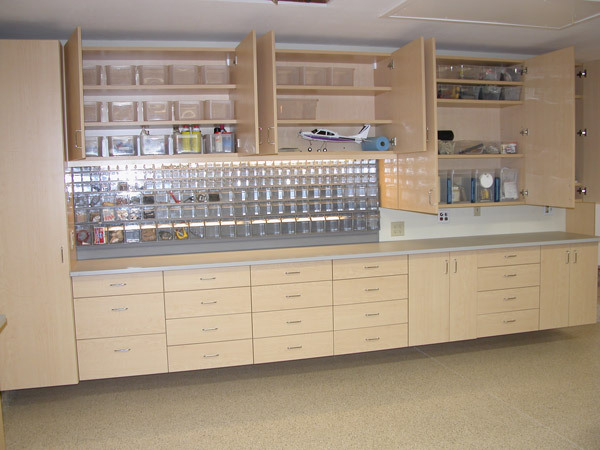 At Garage Solutions, we offer a variety of finishes you can select for your storage cabinets. Whether you want a classic, modern, contemporary, or other aesthetic, we can accommodate. We believe the finish of your cabinets is what really ties the space together, and we’ll work with you to find the best finish for your garage cabinets. Even after garage cabinets, you may want or need more storage space in your garage. We can help! Our dynamic StorALL wall storage system allows for you to hang your belongings on wall panels, which have adjustable hooks to fit your needs. You can hang bicycles, tools, equipment, and more. 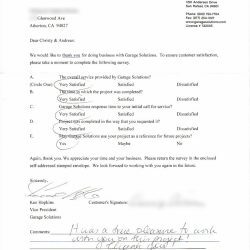 At Garage Solutions, we believe the only item that should be on your garage floor is your car—and even that is optional in some cases. We can also help with rolling tool cabinets, built-in LED televisions, and stainless steel countertops when it comes to your cabinets and storage system. The garage is your space, and we want it to be exactly how you imagined it. That’s why we offer so many storage and organization solutions to you. Now that you’ve decided on which cabinets to use in your garage, it’s time to consider what your floor should look like. Most Sausalito homes get a concrete floor, and we think you should do something about that. Our epoxy concrete floor coating will do more than add a layer, it will improve your overall lifestyle. Epoxy coating allows for easier cleaning and maintenance. We offer over 20 varieties of colors and styles like Terrazzo, granite, sandstone, and more. Furthermore, if we don’t have a color you want, we’ll make it. There’s nothing more satisfying than having a showroom for a garage. When you work with Garage Solutions, we will transform your garage! 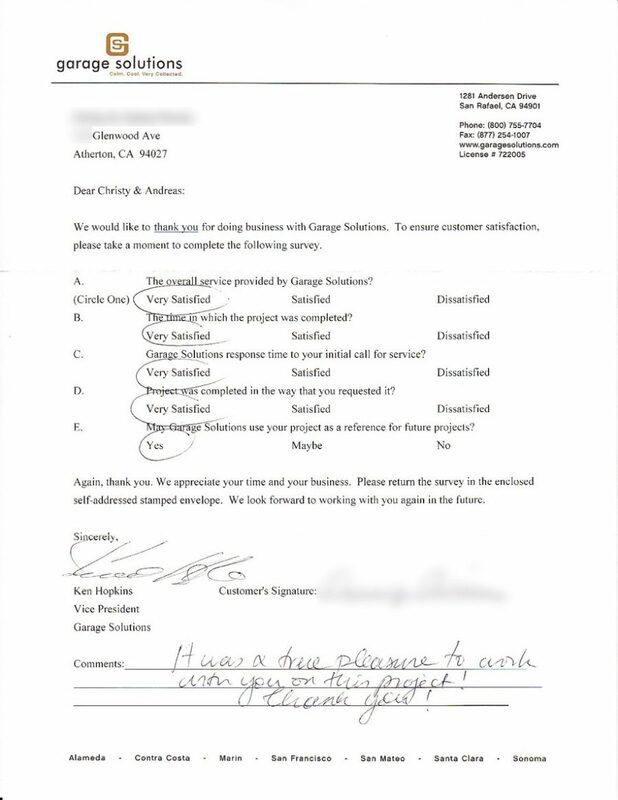 At Garage Solutions, we understand that every garage storage and organization project begins and ends with the client. If they aren’t getting exactly what they envisioned, it doesn’t matter how the cabinets, wall storage, or flooring looks. 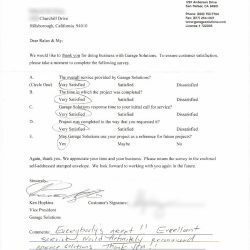 We make it a priority to exceed your expectations and turn your vision into a reality. 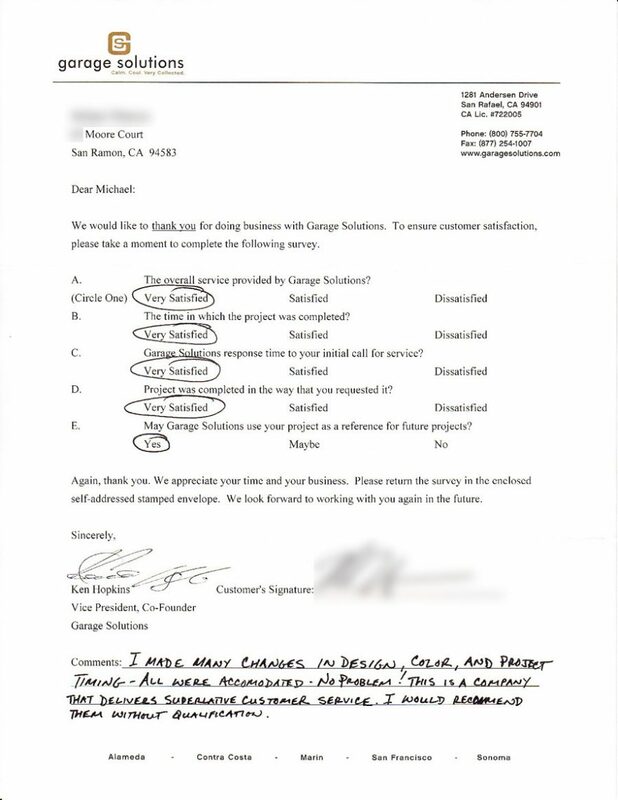 Compared to other garage system companies in Sausalito, we do things a little differently, and we’re proud of it. 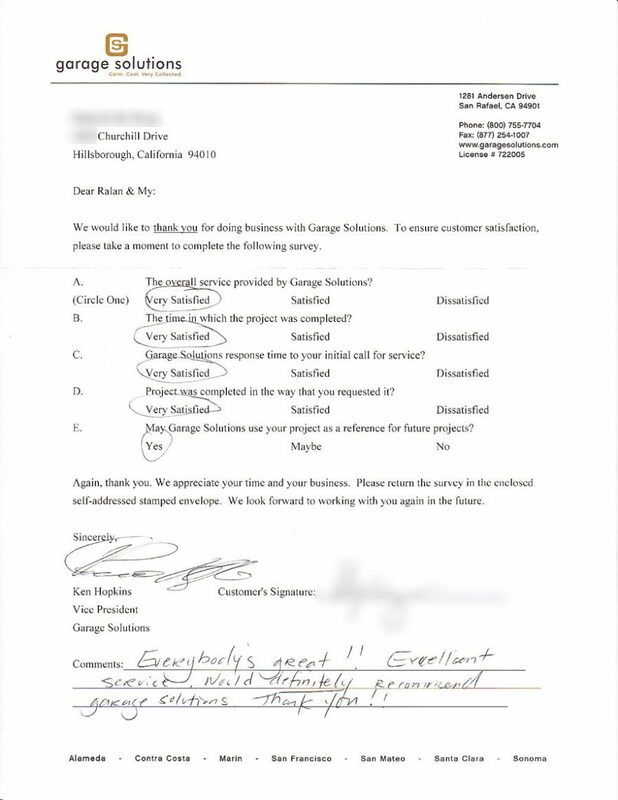 When you choose to work with Garage Solutions, you get only the best!